SERVERS WILL BE OFFLINE SECURITY ISSUE !!!!! Thanks to he last update, when a player dies he/she can now see every bed on the server and can use it to spawn in other tribe bases. 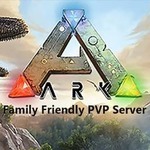 I am not sure if this is a glitch that has only affected our server or if this is Ark wide but for now, we are going to keep the servers offline while we investigate this issue. Ok I just confirmed this is a glitch from the last update .62. It seems other servers are facing the same issue. I am going to keep the servers offline until this is fixed. Hopefully we will get a patch here soon as I am seeing more post come online on the steam forums from different people complaining about the same issue. If you see a new patch come out and the servers are still down please let me know via email or message on this forum, as I will not be able to sit at a computer all day waiting for Wildcard to get off they butts and six this. I will be checking for updates throughout the day and will get the servers back online as soon as possible. We are looking for a .621 or .63 update. No fix as of yet but the steam forums are lit up like a Christmas tree, so hopefully we will get a hot fix soon.